UFC welterweight champion Tyron Woodley will defend his title against rising star Darren Till on Sept. 8 in Dallas. 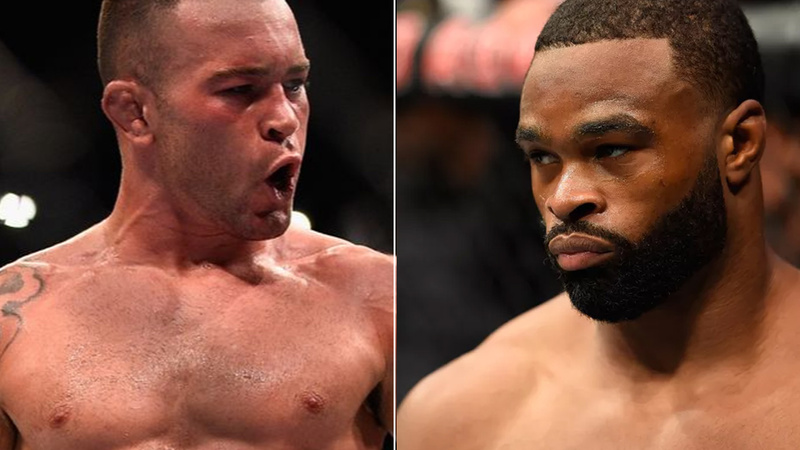 Colby Covington who earned his interim welterweight title after beating Rafael dos Anjos at UFC 225 in Chicago back in May and make a case for himself to be eligible for Woodley fight. UFC tried booking Woodley vs. Covington for UFC 228 headliner, but ‘Chaos’ couldn’t able to fight at the proposed date due to sinus injury, but insisted he would like to compete in November. Promotion couldn’t wait that long and give a nod to Till. UFC announced, as soon Woodley vs. Till begins a fight, Covington will be stripped off his interim title. Covington’s coach Mike Brown expressed his frustration with UFC’s decision to offer the title fight to Till instead should have waited for the ‘Chaos’ return, during his interview with MMAFighting. The coach said, Covington is visibly upset with the situation, but he’s confident when return he’ll face the winner. Tyron and Covington used to train at American Top Team (ATT) and have been cutthroat to each other via social media and during the press conferences for over a year now. ‘Chaos’ has used a past gym fight with ‘The Chosen One’ as one of the main focal points of his campaign for the title shot, claiming that he made Woodley stop during the sparring session at ATT, but Woodley said the opposite. Their title unification bout was making headlines until Covington falls sick, now Woodley has to face Till. Do you think UFC made a right decision by booking Woodley against Till?